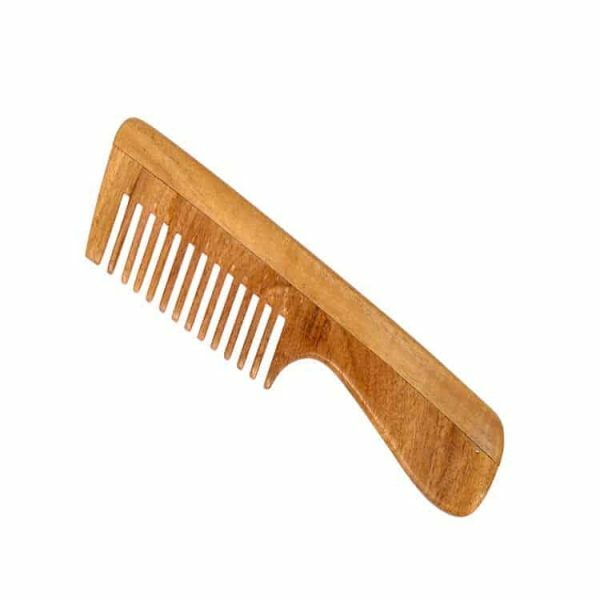 Pick up NEEM Sunita Passi neem comb and use in conjunction with NEEM Sunita Passi shampoo. Made up of 100 % natural neem wood. Neem is a wonder plant recognized for its medicinal properties. Non-static and stimulates over-all scalp.